﻿Pre-registration for yoga class and workshops is strongly recommended. Because our studio offers a uniquely personalized experience, limited to 8 students/class, by registering in advance for all classes and/or workshops you can guarantee yourself a space to practice. In the event that there are no students registered for yoga one hour prior to the class start time, class will automatically be cancelled. Please note that it will be at the discretion of the teacher to modify any class which has only one student in attendance to a minimum of 45 minutes of appropriate yoga practice and/or therapeutic modality. Please try to arrive 10 minutes prior to the start of class. If you arrive late, please enter quietly into the studio and join class. While it is strongly encouraged that you purchase your own yoga mat, there are studio mats available for your use during class. Please wipe down the mat with provided cleaner and paper towels prior to returning the mat. 5 Class Packages expires six weeks after your initial visit. A 10 class package expires 3 months after your initial visit. No refunds or exchanges are available for class packages. If you sign up for any session based class for kids or adults, there are no refunds for missed classes. Paying for all the class sessions secures your spot in class for it's entire duration. Drop in may be available for session classes if there is space. There is a 24 hour cancellation policy for all workshops. You will not be refunded your workshop fee if you cancel within that time frame unless we have a student to take your place. If a workshop is cancelled on our end, you will be refunded the full cost of the workshop fee. All private/semi private/ Thai bodywork or myofascial release sessions will be confirmed via email 24 hours prior to the appointment. A $25 late cancellation fee will apply to cancellations of less than 24 hours’ notice. If you NO SHOW for an appointment, you will be charged the full price for the session. Please arrive 5-10 minutes early to your appointment to get settled. This time is reserved especially for you. If you are late, we will end at the originally scheduled time. Inclement weather policy: In the event of closing due to snow or other inclement weather, we will follow the T/E school district for all our daytime classes. For evenings, class cancellations will be posted two hours prior to the scheduled class time. 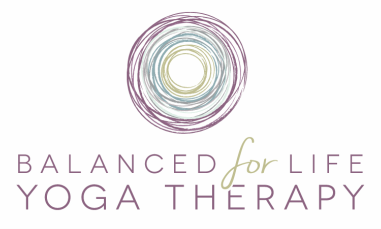 Please check our website under the schedule tab or on the MindBody Connect mobile app. Your account will not be charged for studio closings.